These delicious toffee caramels are made with organic sugar and coconut milk for smooth, chewy goodness in every bite! Rich and creamy and packed with delicious toffee flavor, they're also gluten-free, made only with a few essential and simple natural ingredients. 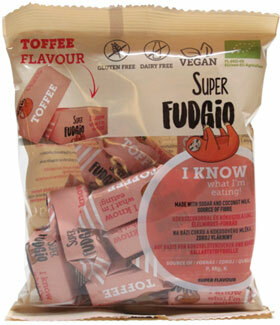 Each bag contains 13 individually wrapped Organic Toffee Caramels.